Wes Rypien was running errands a few weeks ago when a stop at the municipality office in Coleman, Alberta, reminded him of his late brother Rick. No sadness, no tears, no grieving. One of the women working mentioned to Wes that a friend of hers has a 14-year-old son who knew about Rick and was exploring mindcheck.ca when he recognized some of the symptoms of mental distress within himself. He’d been experiencing them for a while and because of the site, he approached his parents and they got him the help he needed. Nothing makes Wes prouder than hearing stories like this. In the first year since the relaunch of mindcheck.ca in January of 2012, there have been over 130,000 visitors to the site, and over 54,000 self-assessment quizzes taken. 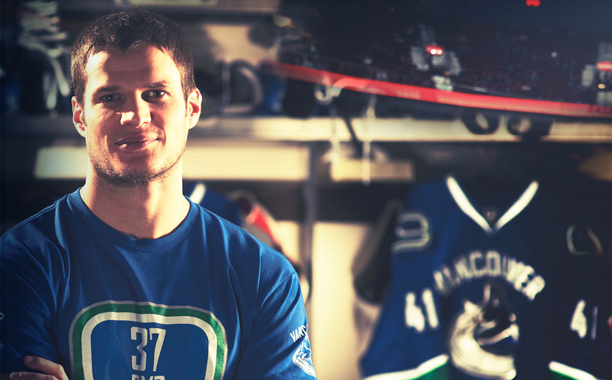 It’s impossible to know how many people have been helped because of the site, but the legacy of Rick Rypien and helping those in need continues. Hockey Talks, a month-long initiative by the seven Canadian NHL clubs to bring increased dialogue and awareness to mental health and effective treatments, is about to take that help to a whole new level. The goal of Hockey Talks is to bring the topic of mental health to the forefront in the public realm and alleviate misconceptions/stigma that has been unfairly associated with mental illness. 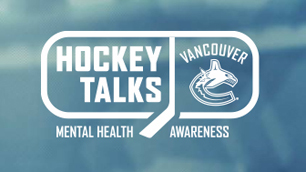 All seven Canadian teams will host a Hockey Talks game night, in addition to raising awareness about mental health with online storytelling and through social media and wearing helmet decals all month; Vancouver will host Hockey Talks on February 1st when the Canucks take on the Chicago Blackhawks. On that night members of the mindcheck.ca Youth Ambassadors Program will watch the game from Lui’s Crease Club, while representatives from mindcheck.ca will be stationed in the community corner at section 111 talking to fans. Wes Rypien will also take part in a ceremonial puck drop. It’s been a long journey for Wes, who is ready to stand in the spotlight to ensure his brother’s legacy lives on. “It’s a little bit emotional,” admitted Wes, “but I’m excited to be able to help out. Now that it’s been a little while and I’ve gone through the grieving and what not after something like that, it’s important now that we trudge ahead and I’m looking forward to helping out as much as I can in the future. One in five Canadians will experience a mental health problem or illness in their lifetime, so identifying the signs early and getting connected to tools and support is the most important way to prevent problems from becoming worse. With every Canadian NHL team on board with the Hockey Talks program, awareness of the main issues at hand should spread like never before. Kevin Bieksa, one of Rick’s closest friends and a major advocate behind mindcheck.ca, couldn’t be prouder of the work being done for mental health. “The original plan wasn’t just to help people for a month or a couple of weeks, it was to help people long term and give people an outlet and some education on the disease, and that’s what we’re doing,” said Bieksa. It won’t be long before February is Mental Health Month in the NHL and we’ll all wonder where we’d be without it. That’s at least the hope of TC Carling, vice president of Communications & Community Partnerships with the Canucks, who has played an integral part in making Hockey Talks a reality. “Rick’s legacy is important to us and his desire to help young people that are struggling with mental illness and his desire to help them in need, is something that really resonated with many of us, so we think it’s imperative that we continue that moving forward. Click here to visit mindcheck.ca.